At the end of February, Strata returns to Santa Clara for the third year. In addition to our focus on the burgeoning field of Big Data, this year Strata is diving deep into the role of design and our inexorable march towards a connected world of ubiquitous computing. In this free online conference, we'll be showcasing some of the hot topics and thought-provoking speakers who will be joining us for the event. It's your chance to see what we're covering and to find those can't-miss tracks and sessions. A singularity is a point at which a function takes an infinite value. If you dust off your high school math, you'll remember that certain functions curve gradually upwards until a particular number—a limit, or an asymptote. You may have heard the more popular example of the singularity: the moment when we make smart machines able to make even smarter successors. After that, the machines won't need us. Ray Kurzweil says this'll happen in roughly 2045. Modern business is on the edge of a Singularity, albeit a less dramatic one. We're changing the engines of growth as a society, and switching from a world in which scale wins to one in which connectedness wins. Old models like broadcast and mass production are slowly, inexorably crumbling in the face of data and connectivity, giving way to interactivity and customization. Companies that live on the other side of this business singularity are unknowable, and impossible for today's businesses to anticipate. Traditional businesses look to them as humans might to sentient machines: unthinkably outdated, disconnected, and sluggish. In this session, Alistair Croll looks at how organizations that favour cycle time over scale are edging towards a singularity, and what that means for incumbents across a wide swath of industry. Now we know who won the presidential election and the battle between red and blue states, but a more important battle is raging throughout the world. Will the blue blooded zombies beat out the red hot blooded vampires in the war for our souls and wallets? Hear Argus Insights CEO John Feland preview his Strata talk, understand the true nature of the threats haunting our homes, and learn what you can do to prepare for the coming Zompire Apocalypse. John Feland is the award winning founder and CEO of Argus Insights. With background in both industrial and component-level design, carrier influences, and OEM collaboration, Feland brings his expert knowledge and perspective on product design to to Argus Insights. In 2009-2010, Feland was the Executive Director for Stanford University's ME310 Design Innovation course. In 2008, Feland served as Chief Technologist for SK Telecom America's R&D Group. Prior to SKTA, Feland led Synaptics' marketing division to help handset manufacturers integrate next-generation capabilities. Feland was the principle architect for the Onyx Concept Phone, the world's first capacitive multi-touch mobile experience. Feland holds an S.B. in Mechanical Engineering from MIT, an M.S. in Mechanical Engineering from Stanford University, and a PhD in Mechanical Engineering from Stanford University. Every month, Birchbox fills boxes with a mixture of beauty and lifestyle product samples. It then sends these products to its subscribers. But who gets what? In addition to physical constraints (i.e. size) and historical requirements (nobody should get the same thing twice), the company needs to maximize the reward and happiness of each box recipient. Birchbox CTO Elisabeth Crawford joins Strata chair Alistair Croll for a discussion of the challenges in product discovery, and how operational research meets artificial intelligence. This webcast session will discuss the manifestation of the split-apply-combine principle in both data visualization and data stores. Vadim Ogievetsky will discuss the possibility of unifying the two within the same declarative language in the hopes that such an approach will produce an efficient way to explore huge datasets. Vadim Ogievetsky is a frontend developer at Metamarkets where he uses D3.js in a production, client-facing environment. Prior to Metamarkets, in 2008, he received a BA degree in Mathematics and Computer Science from Oxford University and, in 2011, graduated from Stanford University with a Master's degree in Computer Science specializing in Human Computer Interaction. While at Stanford he was part of the Data Visualization group where he contributed to Protovis. His open-source development is now focused on DVL, a reactive data flow library for dynamic data visualization built on top of D3.js. Business intelligence and data warehousing have been a going concern for 25 years. They were designed in a world of scarce resources and no computer mediated communications. They were designed for a particular use case: answering well-framed questions. There's been a renaissance in the market for these technologies, but it hasn't come from the traditional market players. It's come from new companies and outsiders. Big data is a big part of the disruption hitting this market, but not in the way most people think. It's not replacing the data warehouse, but it is changing the technology stack. It doesn't eliminate data management, but it does redefine enterprise data architecture. Big data is and isn't many things. It's important to understand which information uses are well supported and which have yet to be addressed. Otherwise you risk replacing one set of problems with another. Come to this session to hear some observations on what big data is, isn't and aspires to be. Mark spent the past two decades working on analysis and decision support projects in many industries. He is the founder of Third Nature, a research and consulting firm focused on emerging technology and practices in analytics, BI and information management. 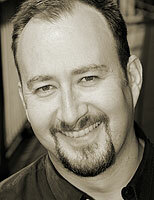 Mark is also an award-winning former CTO and consultant who frequently speaks at US and European conferences. While the world adjusts to the realities of Big Data and NoSQL, there's an emerging trend to return toward SQL as an expressive query language. In this webcast presentation, Tim O'Brien explores some of the projects and products that are helping people scale without having to move entire applications to novel databases. Databases like Translattice, NuoDB, and Akiban along with Google's high-profile, internal database Spanner, point towards a larger trend of scale data without throwing away the standard features of a database. The provocative question: is NoSQL simply a temporary way point, a momentary break, as the relational database adapts and underlying concepts like consensus algorithms adapt to new realities? Tim has authored and co-authored a number of books for O'Reilly including: Maven: The Definitive Guide, The Jakarta Commons Cookbook, Maven: A Developer's Notebook, and Harnessing Hibernate. He has also written a number of popular open source books including: Maven by Example, Maven: The Complete Reference, Repository Management with Nexus, and The Maven Cookbook. In a country where there is no open data nor a law like FOIA, there is a Data Team that is creating tools to help reporters and also citizens to analyze material and investigate important stories such as the use of public money. At La Nación, one of Argentina's leading daily newspapers, we have created a data model of journalism, based on teamwork, involving reporters and editors, to take an interest in writing stories based on data. But this is not all the story. There is something that we believe is the starting point. There is a Data Team that is creating the boundary conditions that are present in other countries and not ours. So we are searching data on the deep web, scraping and opening them. With this information, the journalists are writing data-driven stories and invite the public to respond and engage. But we are also designing public data catalogs, where anyone can access them and download them to their computer. Things are changing in Argentina because of these actions. By creating new ways to access and use data, we are improving transparency and accountability throughout our country. We believe that this could be a way to inspire another media in Latin American countries where there are no open government policies, even within provinces of our country, to open data and expose them under the light of public opinion. Sandra Crucianelli is a Knight International Journalism Fellow who is an investigative journalist and instructor. She specializes in digital resources and data journalism. She is the founder and editor of Sololocal.Info, an online magazine that provides hyper-local news in Bahía Blanca City, Argentina, and has been an instructor and consultant for the Knight Center for Journalism in the Americas at the University of Texas, Austin, since 2004. Crucianelli also is an instructor for Florida International University's International Media Center and the author of Digital Tools for Journalists, a Spanish- and Portuguese-language resource. She is on the advisory board of the Digital Journalism Center at the University of Guadalajara, Mexico. She was one of the first journalists working outside Argentina's capital to focus on investigative reporting. Crucianelli also worked at Channel 7, where she was a news analyst and launched an investigative-journalism team.